Small is beautiful in today's auto industry. At the North American International Auto Show in Detroit next week, automakers will show downsized vehicles. But the vehicles will also be beautiful, as automakers offer luxury and electronic features that shoppers crave. Buick, for instance, will unveil a small crossover called the Encore. Cadillac will show a sedan, the ATS, slotted below the CTS. Also onstage will be hybrids from Mercedes-Benz, Toyota and Volvo as automakers race to boost fuel economy. Here is a roundup of world production and concept debuts along with other unveilings planned for the show. This is a big show for Honda's luxury brand. Enthusiasts will appreciate the NSX concept, a high-performance hybrid that engineers hope to have on the road in less than three years. A V-6 will be mated to a lithium ion battery pack, with all-wheel drive getting power to the pavement. Perhaps more important to the short-term future of the brand is the ILX sedan, which will be derived from the global Honda Civic platform and will take the place of the larger TSX. Acura also will show the redesigned 2013 RDX compact crossover, which will be powered by a V-6 replacing a turbocharged four-cylinder engine. Audi is expected to unveil a freshened version of a small sporty sedan, as well as a crossover concept. Buick will reveal its new small crossover, the 2013 Encore, which will be slotted below the full-sized Enclave. The Encore will be Buick's fifth new or redesigned model in the past five years as the brand strives for European-flavored cars with premium interiors. 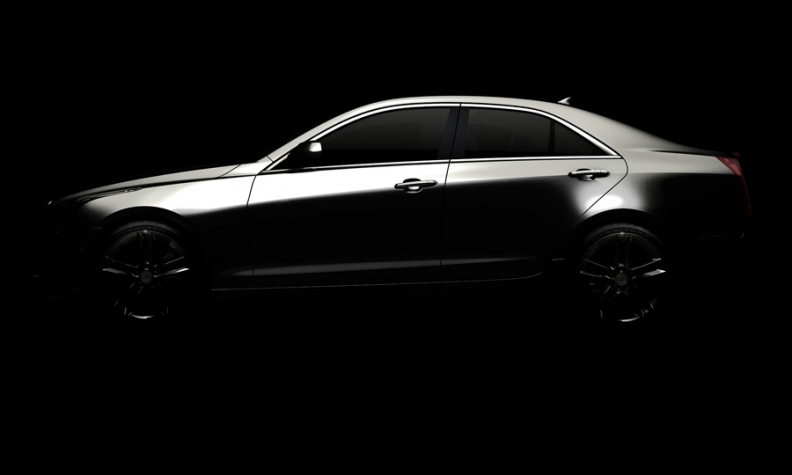 The ATS sedan, a BMW 3-series fighter, is expected to be launched in the second half of 2012. The rear-wheel-drive car will be built in Lansing, Mich., alongside the Cadillac CTS coupe, sedan and wagon. 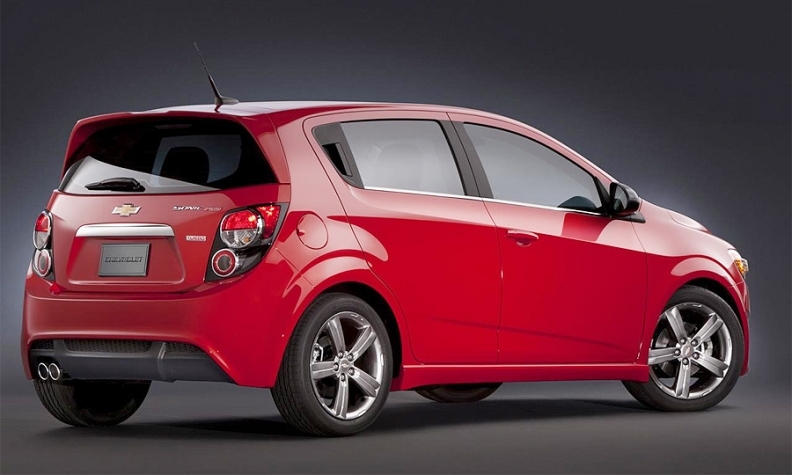 Chevrolet will show a sporty RS version of the Sonic subcompact, which went on sale in August. The 2013 hatch-only RS will get a new front fascia and grille along with shorter gear ratios on the six-speed manual to give the 1.4-liter turbo engine a sportier feel. Chevrolet also is expected to show two concept vehicles from General Motors' North Hollywood, Calif., design center. The Sonic RS will be available in late 2012. The 2013 Dodge Dart, built on a Fiat platform, features a variety of powertrain options and Dodge Charger styling cues. The Dart will feature an available 8.5-inch info screen and a 7-inch electronic instrument cluster surrounded by lighted color accents. The Dart is scheduled to arrive at dealerships during the first half of 2012 and will be assembled in Belvidere, Ill. The redesigned 2013 Fusion will likely follow the direction that Ford laid out with the 2013 Escape compact crossover: curvier lines, engines with direct injection and turbochargers, and a hybrid. The Accord will be redesigned in mid-2012, and Honda will tease its styling with an Accord Coupe concept in Detroit. Historically, Honda's concept cars tend to look very similar to the final production vehicle. Hyundai will reveal a turbocharged four-cylinder Veloster. The brand also will show a restyled 2013 Hyundai Genesis Coupe with a new grille and front fascia and a more refined interior. The car will receive a new four-cylinder engine and a re-engineered 3.8-liter V-6. 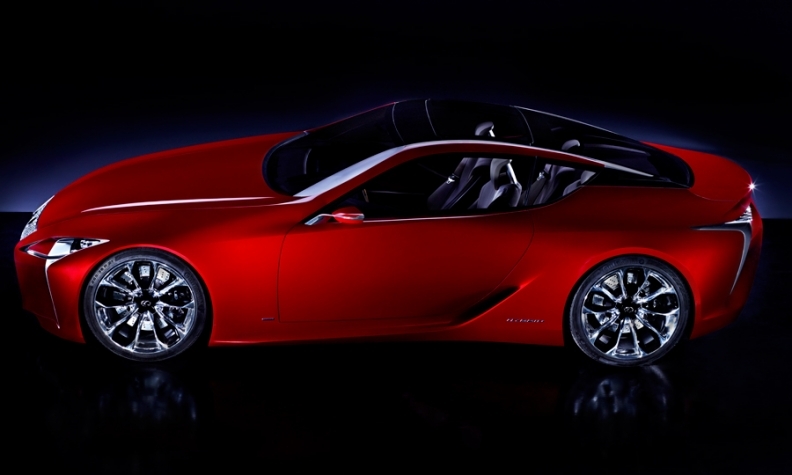 What happens if you cross the Lexus LF-A high-performance car and the IS 250 coupe? The LF-LC coupe concept. It explores the future of Lexus styling and was created at the automaker's Calty design studio in Newport Beach, Calif. It comes in a 2+2 layout, meaning there's room for two humans and two overnight bags. The grille is even more prominent, with slivers for LED headlights, and a long sweeping hoodline. Early photos show hybrid badges. Lincoln will show a concept of the next-generation MKZ sedan. Lincoln officials hint that the car could offer a glimpse of the brand's future direction under design chief Max Wolff. The MKZ is a mid-sized sedan based on the same platform as the Ford Fusion. 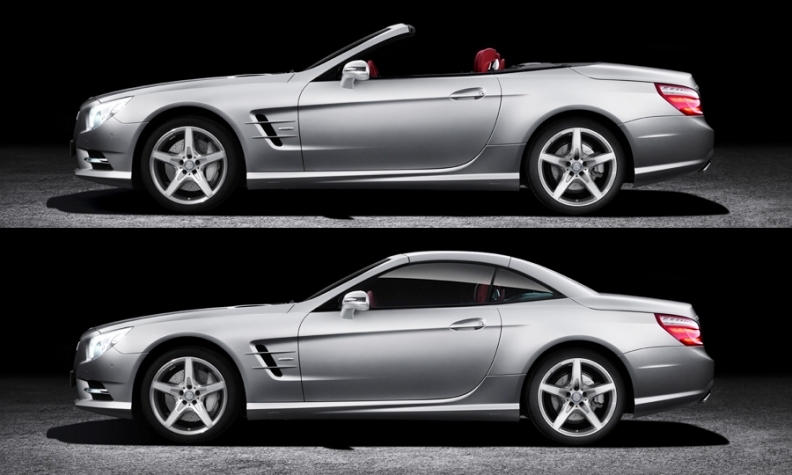 The redesigned 2013 Mercedes SL roadster is longer and lighter than the outgoing model and gets a new all-aluminum body. Only one version, the SL550, initially will be sold in the United States next spring. The SL550 will be powered by a new 4.6-liter direct-injection V-8. Mercedes also will show two E-class hybrids. The E400 Hybrid sedan, which goes on sale in the second half of 2012, has a 27-hp electric motor and a 3.5-liter V-6 gasoline engine. The E300 BlueTec Hybrid uses a 2.1-liter four-cylinder common rail diesel and the same electric motor used in the E400 Hybrid. The E300 BlueTec Hybrid initially will be sold only in Europe later this year. The roadster is the sixth model to join the modern day Mini lineup after the hardtop, the cabriolet, the Clubman, the Countryman, and the coupe. 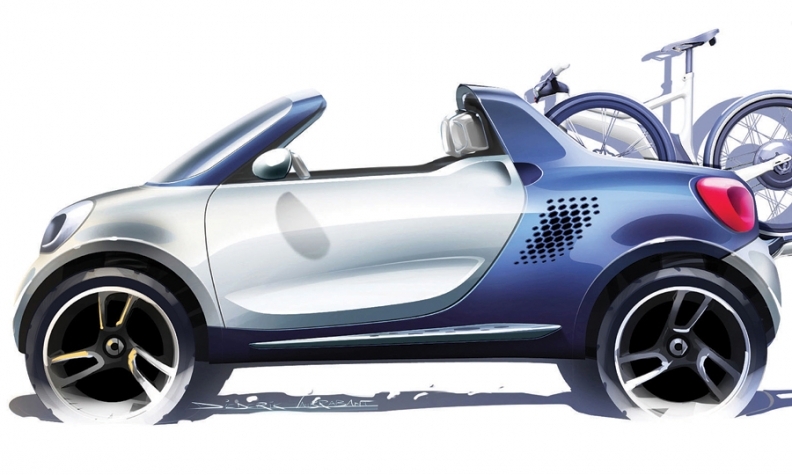 The 2012 Roadster, a soft-top two-seater, goes on sale in February. 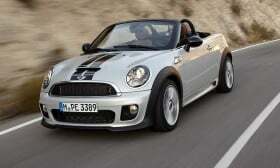 The Roadster will be available with three variants of Mini's 1.6-liter four-cylinder gasoline engine. The sticker starts at $25,050, including destination for the base Cooper model. Nissan is showing a concept that hints at the next-generation Pathfinder. The brand also will show an electric version of the NV200 small commercial van, which can be used as a taxi. Porsche will unveil convertible versions of the 911 Carrera and Carrera S. They will go on sale in the United States this spring. Toyota's youth brand will show another version of the FR-S coupe, this one likely tweaked by Toyota Racing Development tuners. Smart will show a two-seat electric pickup concept called the For-Us. The pickup reportedly has dimensions similar to the second-generation ForFour four-seat vehicle being developed with partner Renault and scheduled to go on sale in 2014. Toyota will show a plug-in hybrid concept called the NS4. The brand will also show the production version of the 2012 Prius C hatchback. It was shown in Japanese-market form, where it is known as Aqua, at the Tokyo Motor Show in November. Volkswagen will unveil the production version of the 2013 Jetta hybrid. The car will be assembled on the Jetta line at VW's plant in Puebla, Mexico. The Jetta hybrid goes on sale in the United States in late 2012. The Swedish brand is expected to show a hybrid, most likely a concept, and reveal its U.S. hybrid strategy.